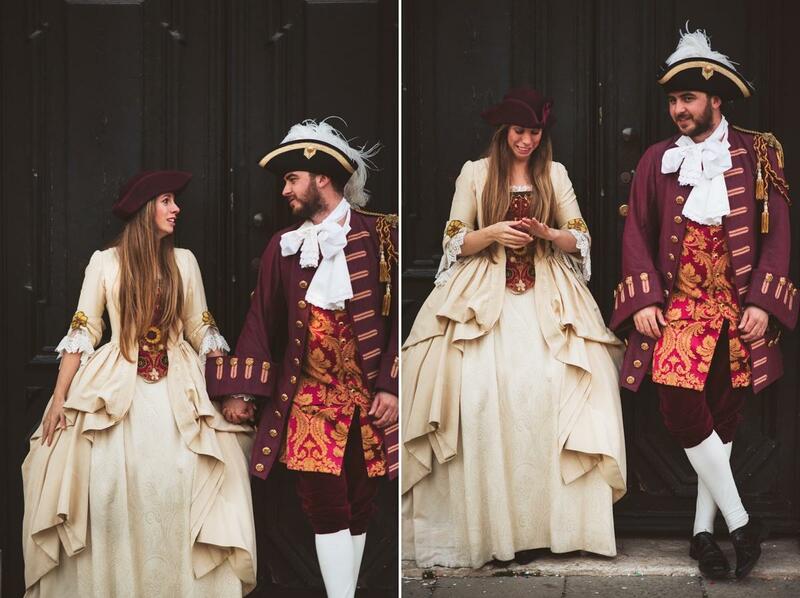 Few days before that day I received a call from Spanish number. 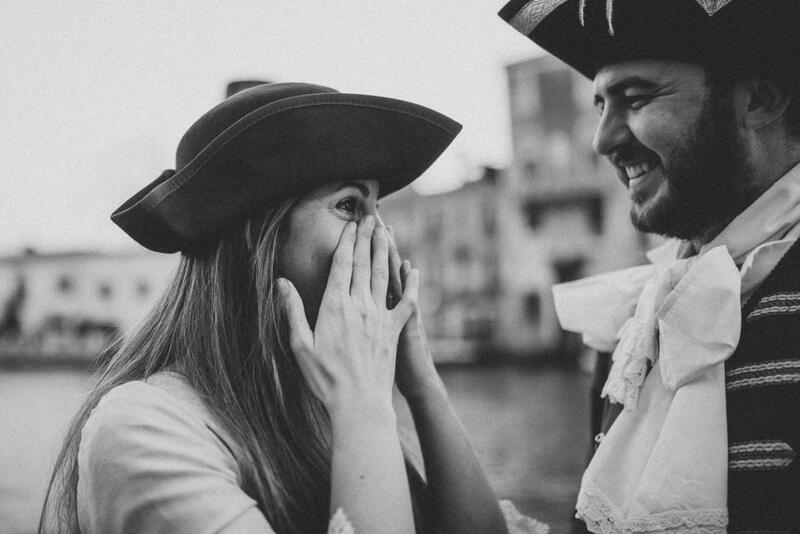 Dejan, are you free on Sunday? 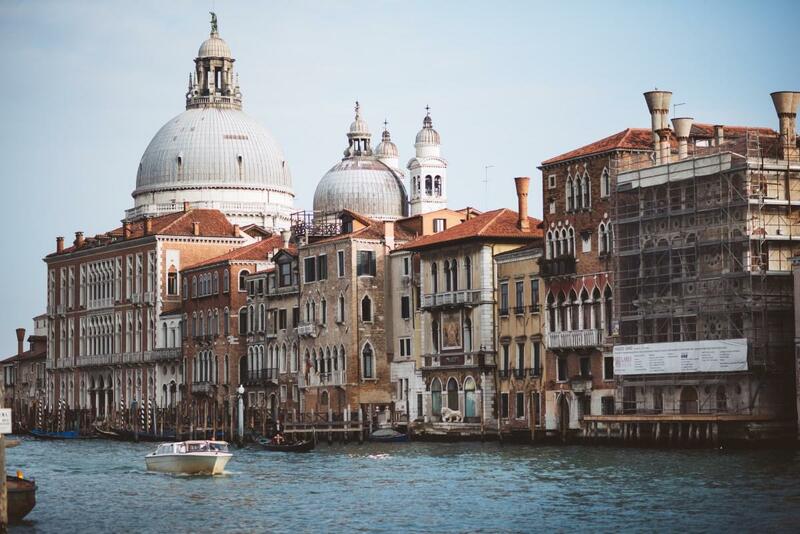 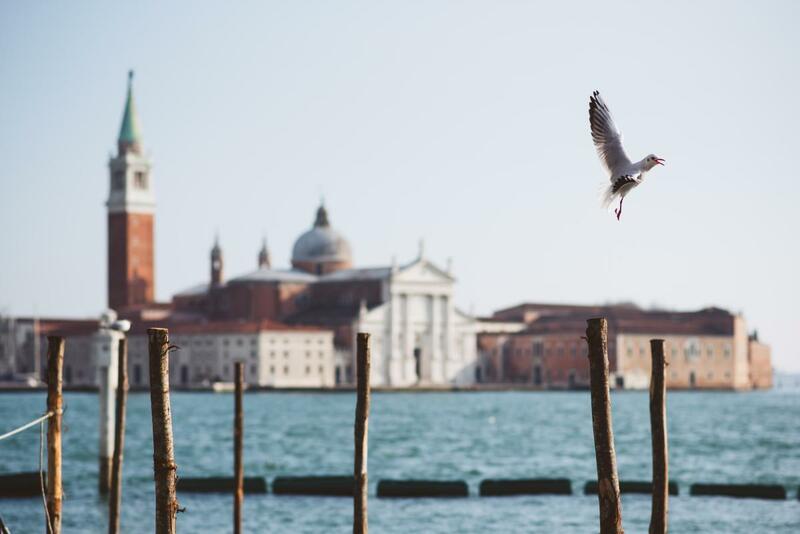 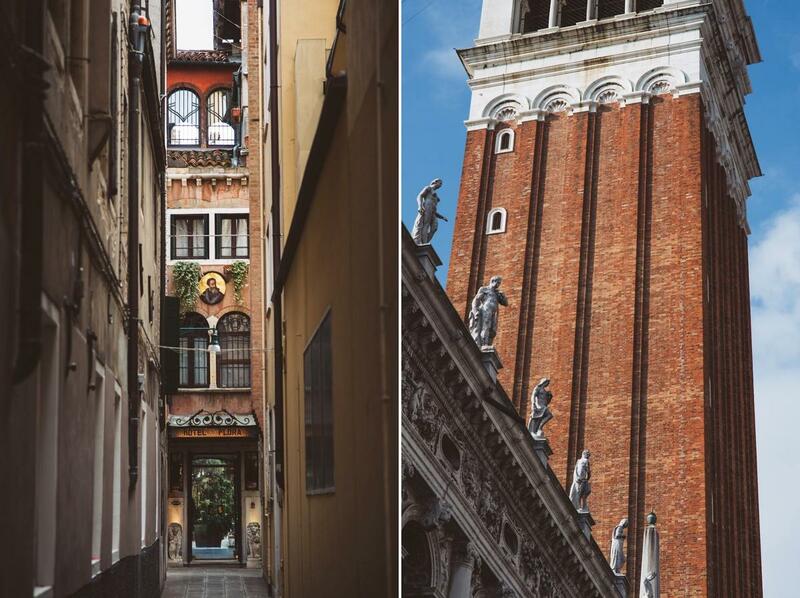 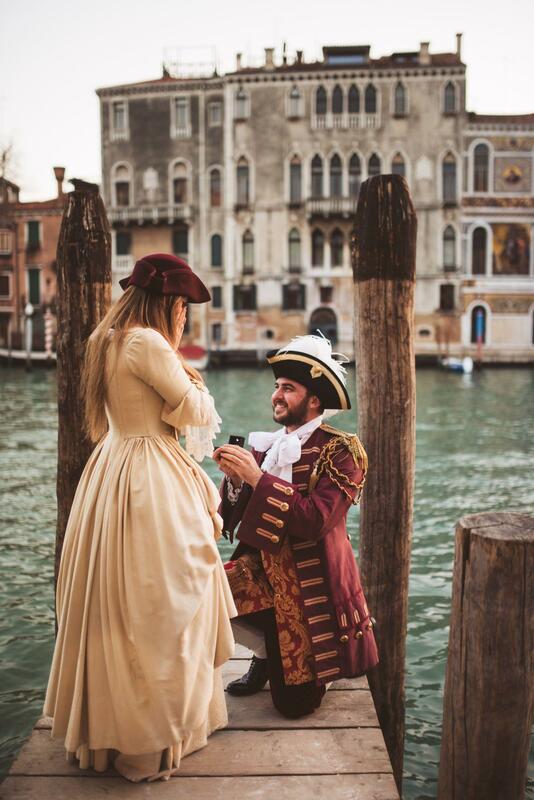 I want to propose my girlfriend in Venice and I really like your style of capturing spontaneous moments and I would love that you document my proposal in Venice. 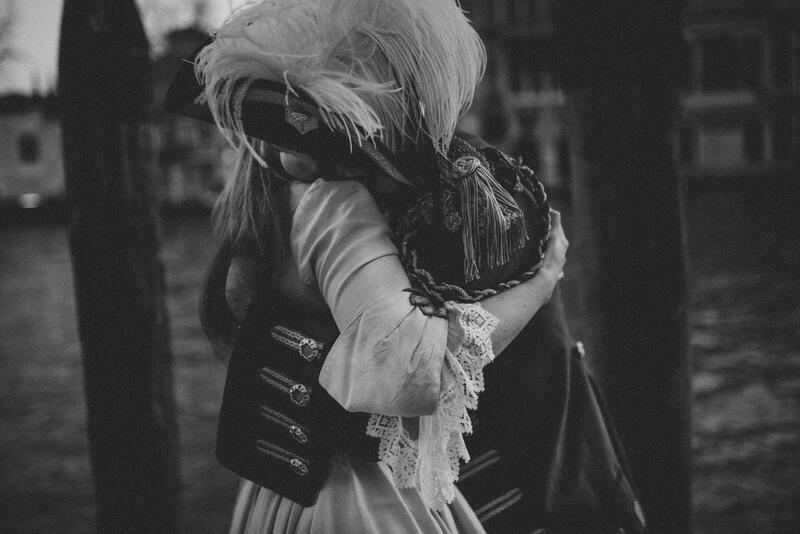 She doesn’t know anything about it. 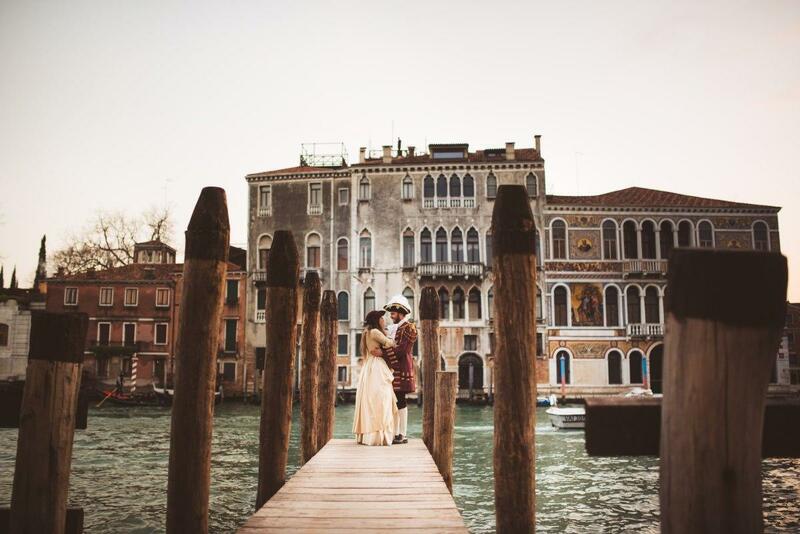 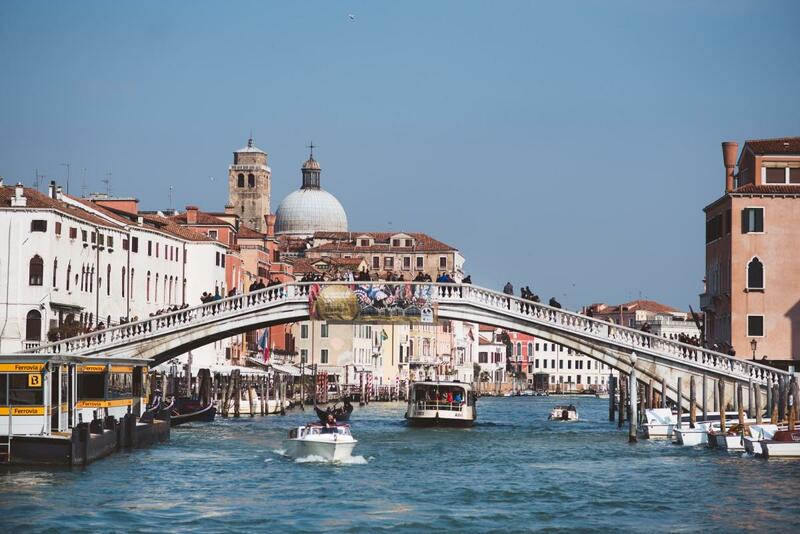 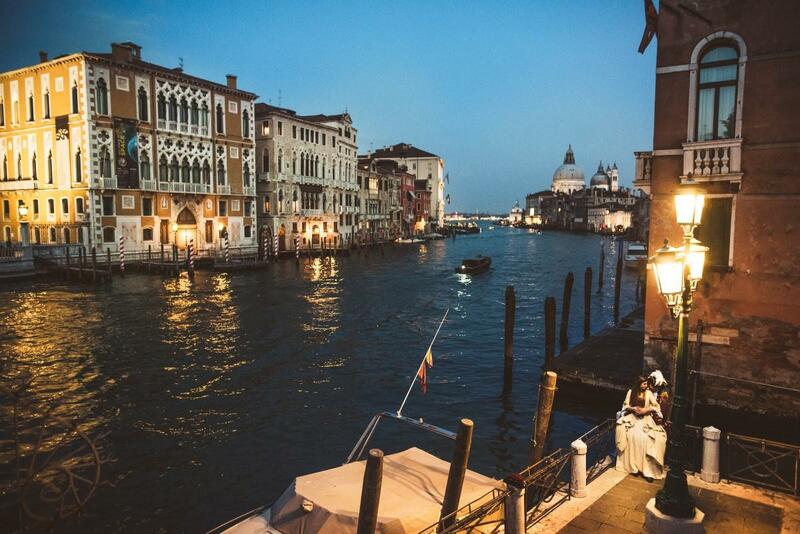 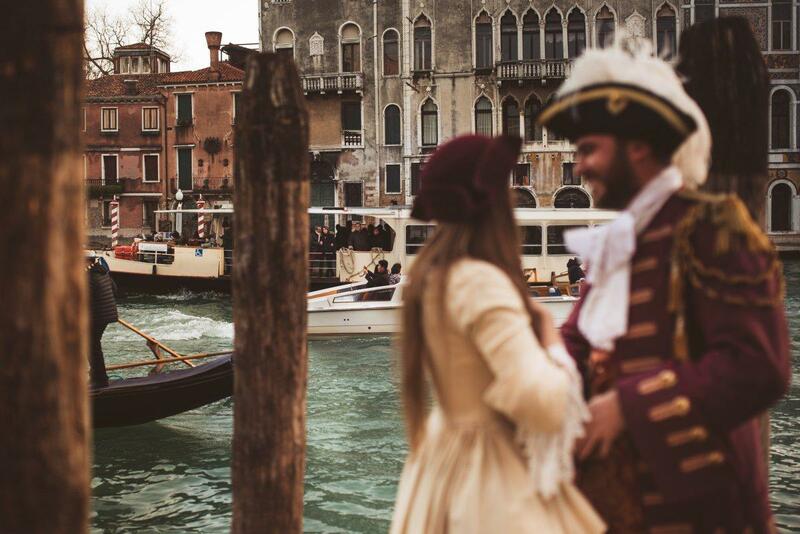 Of course, I was flattered to have a chance to be a part of that once in a lifetime moment in romantic Venice. 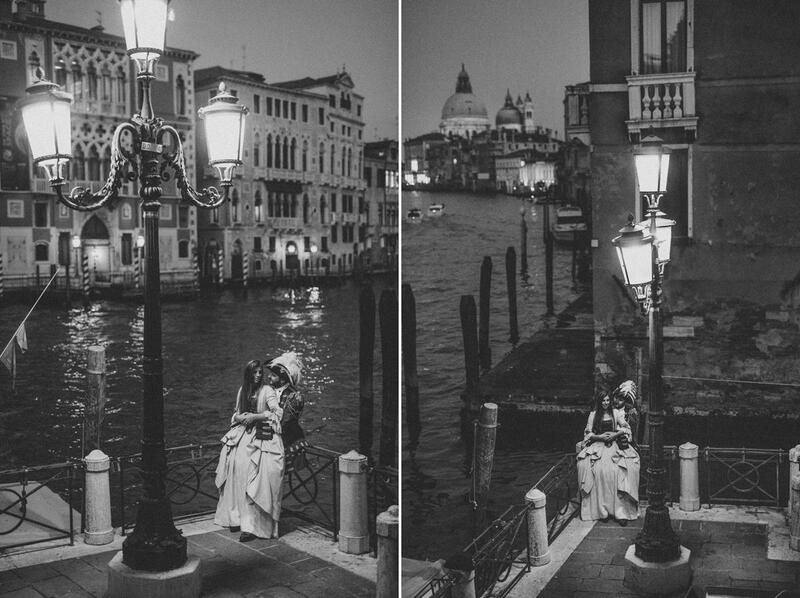 All the sudden I was a witness one of the most romantic acts I saw in my lifetime. 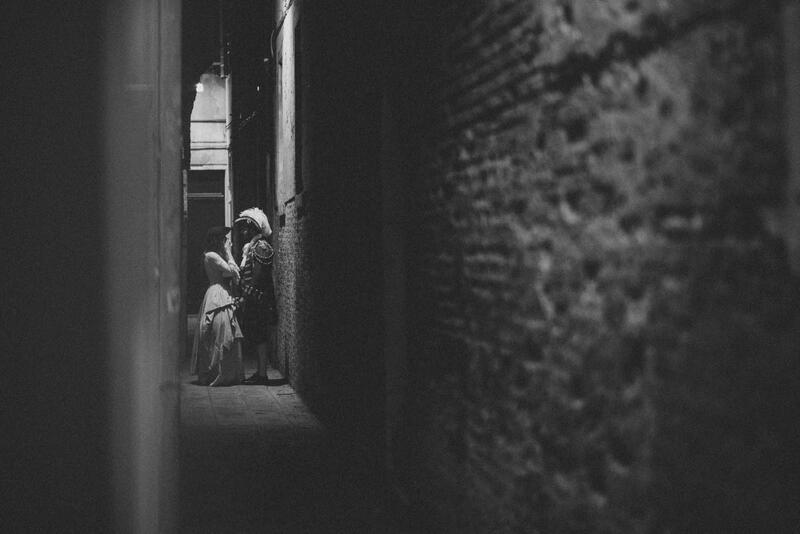 Even if my job is to take photos of the wedding I was shaking a bit as well being part of the moment that can leave you breathless. 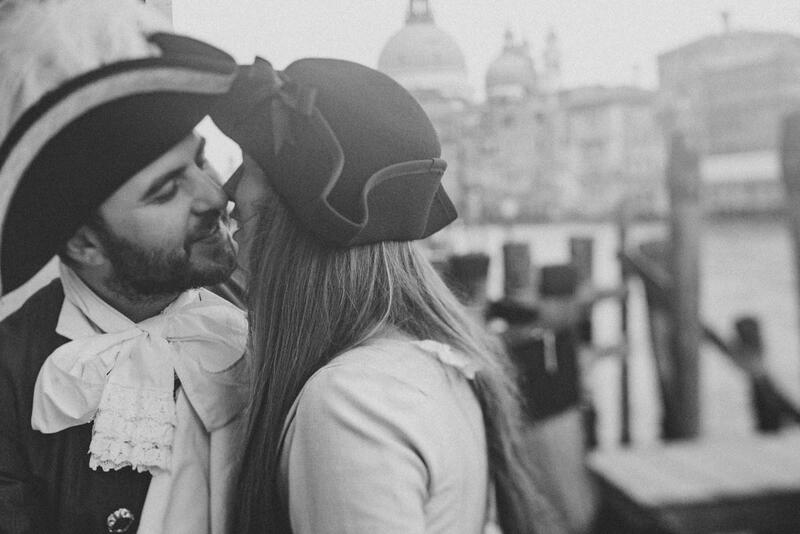 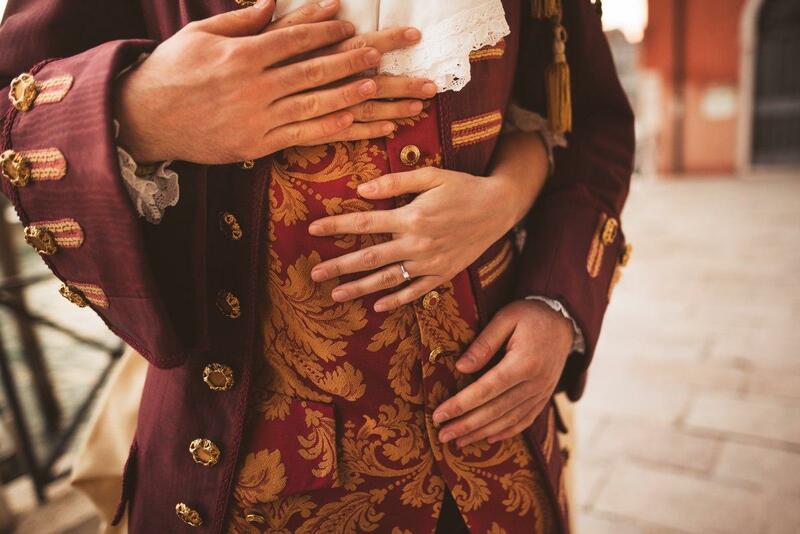 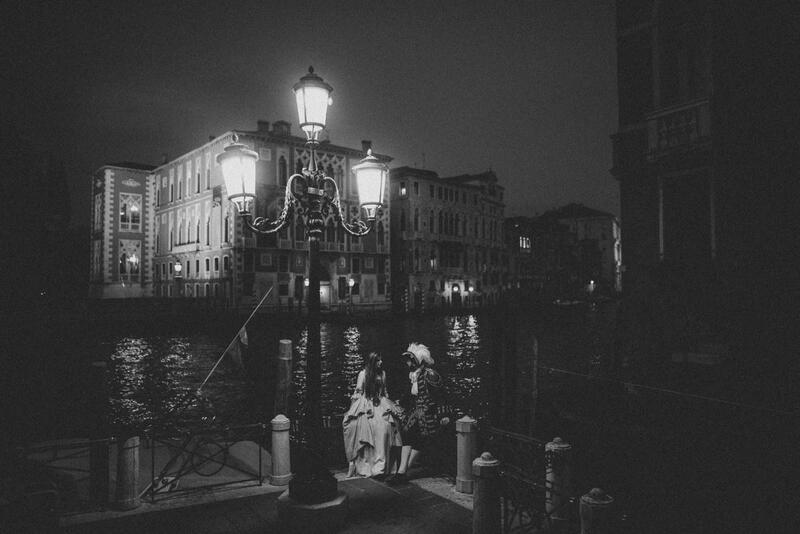 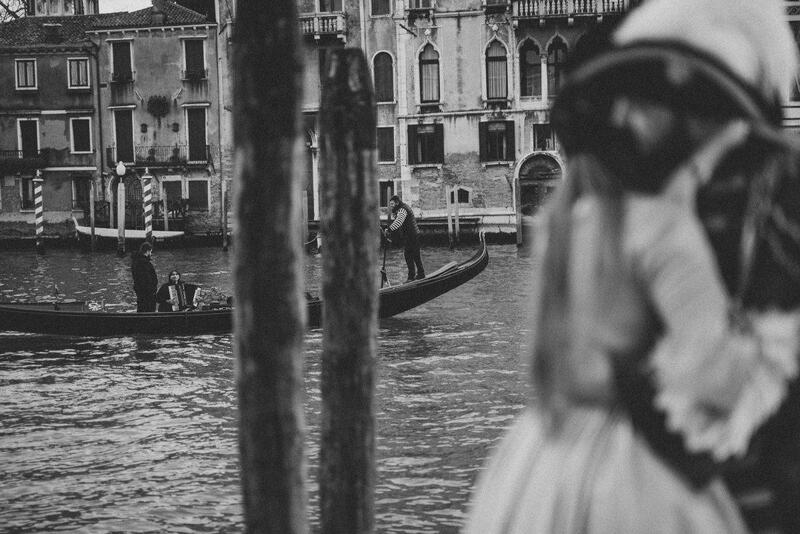 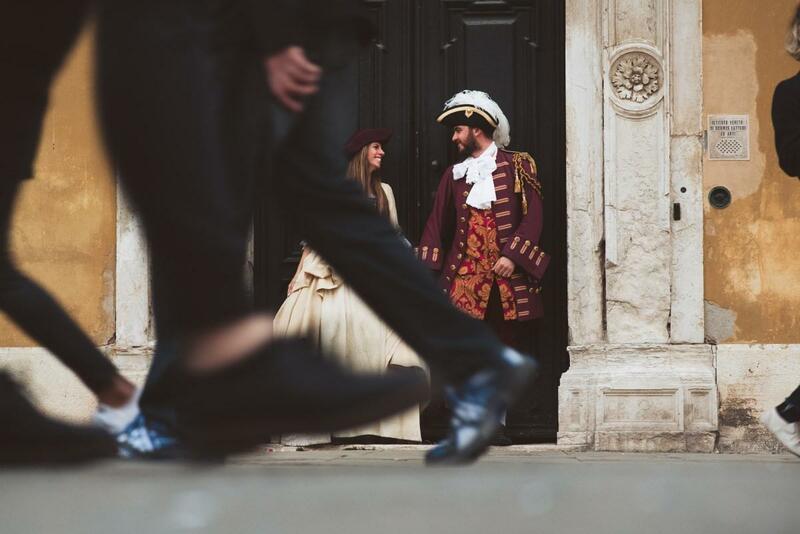 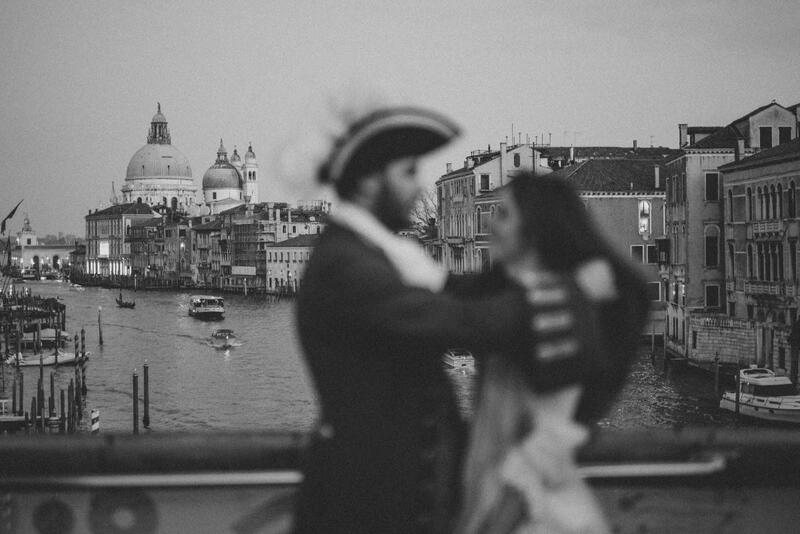 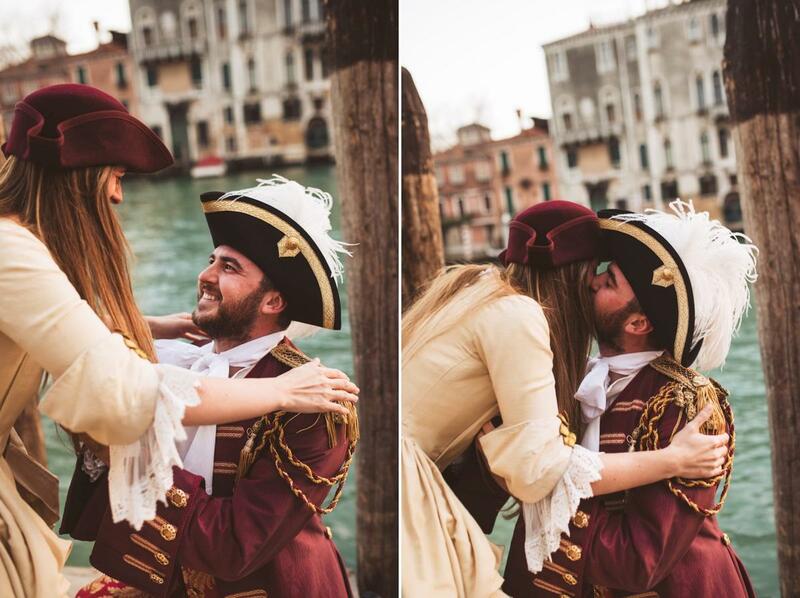 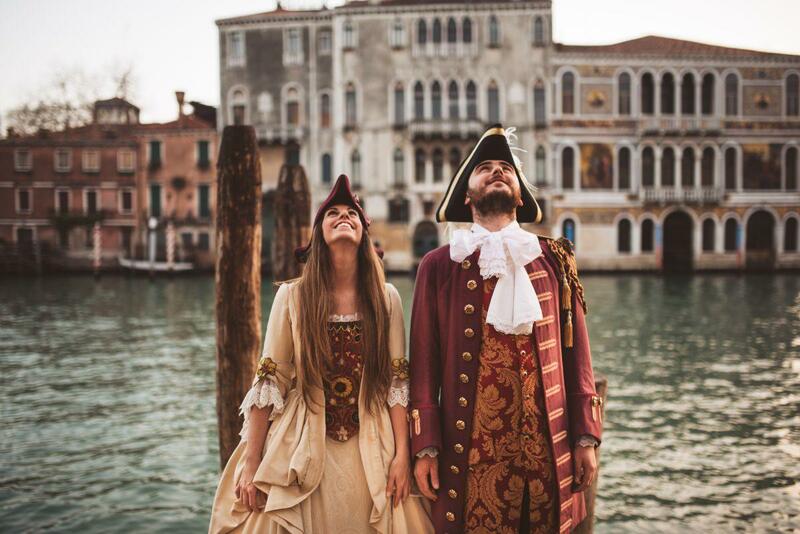 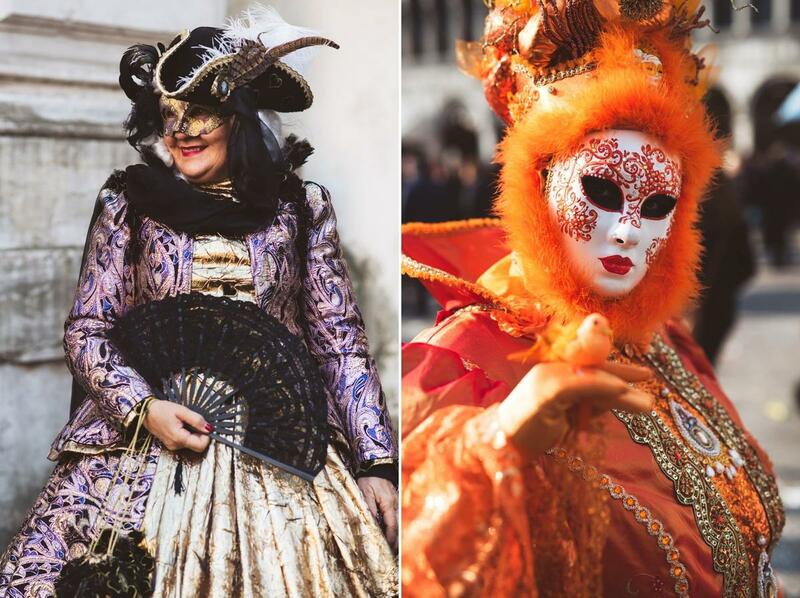 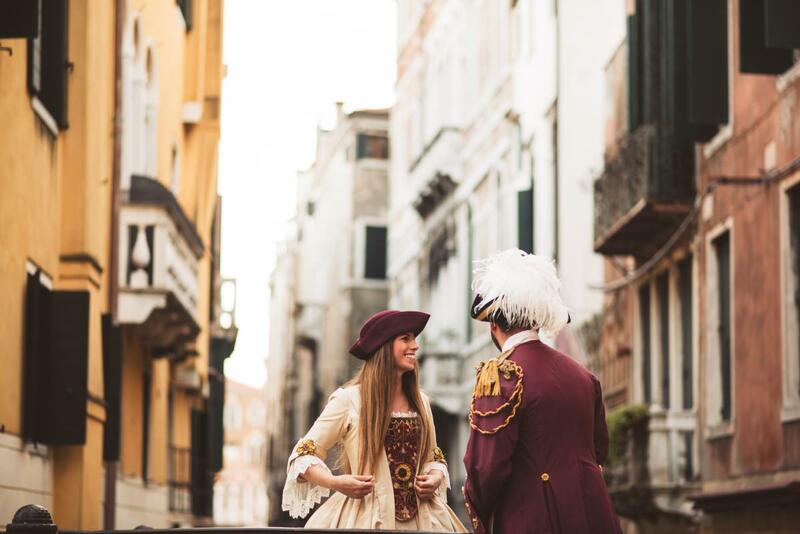 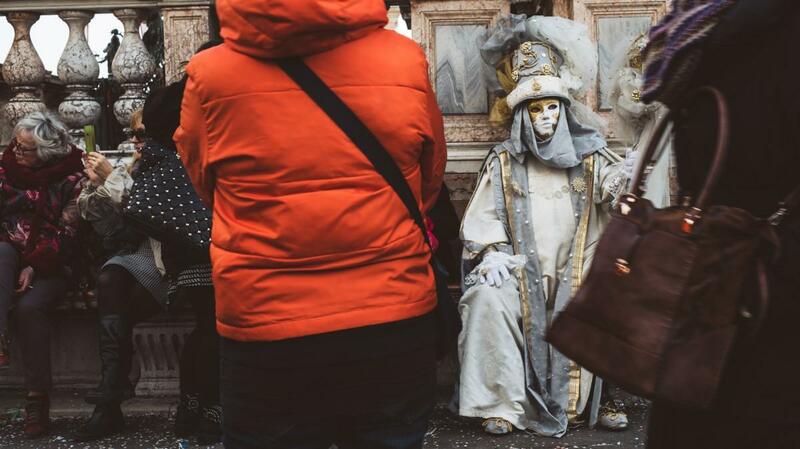 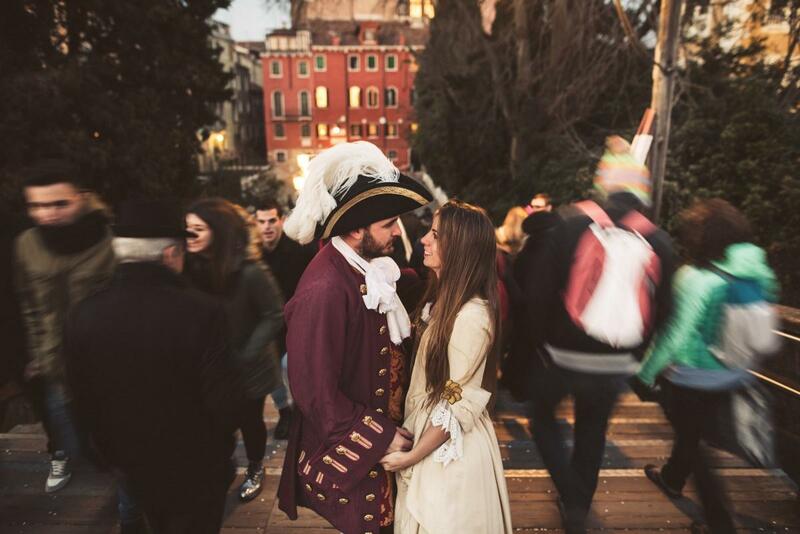 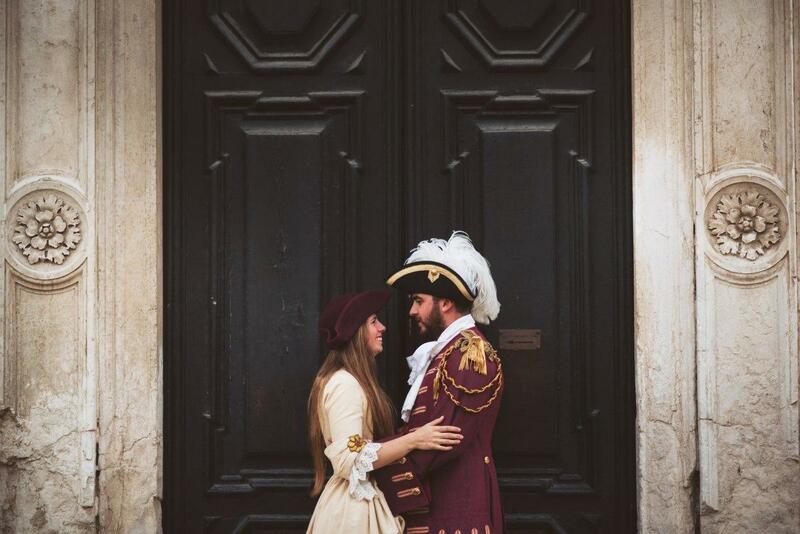 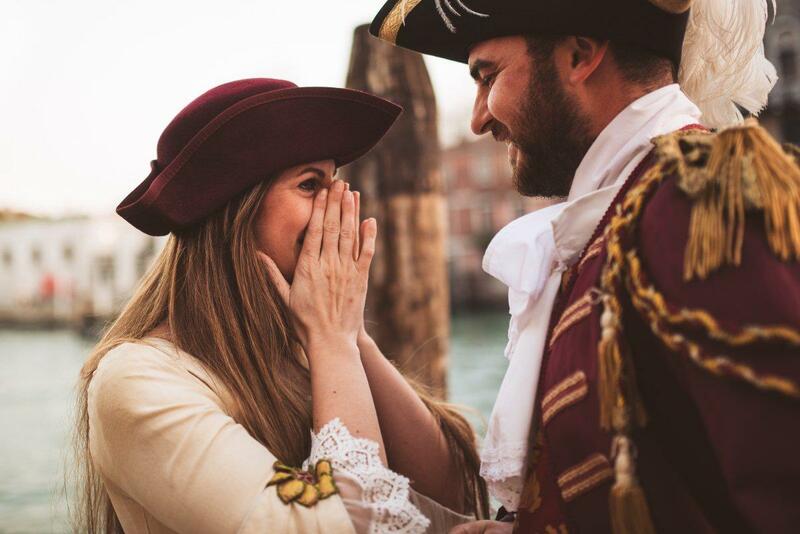 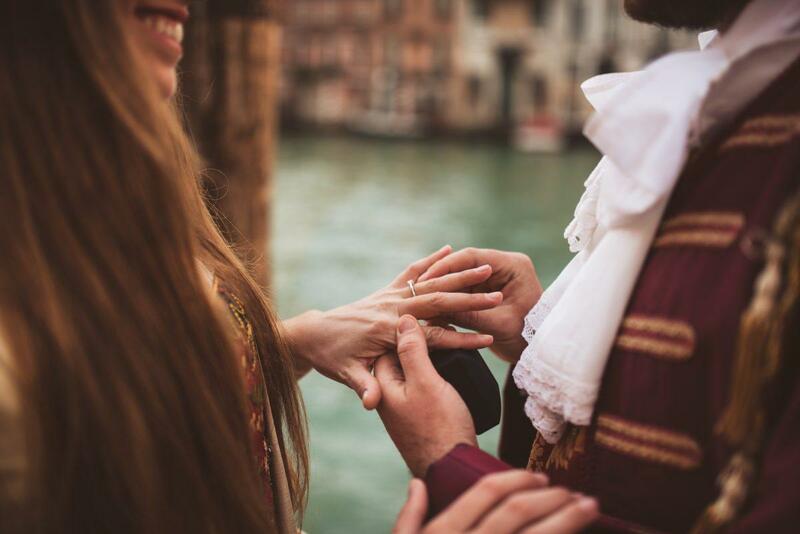 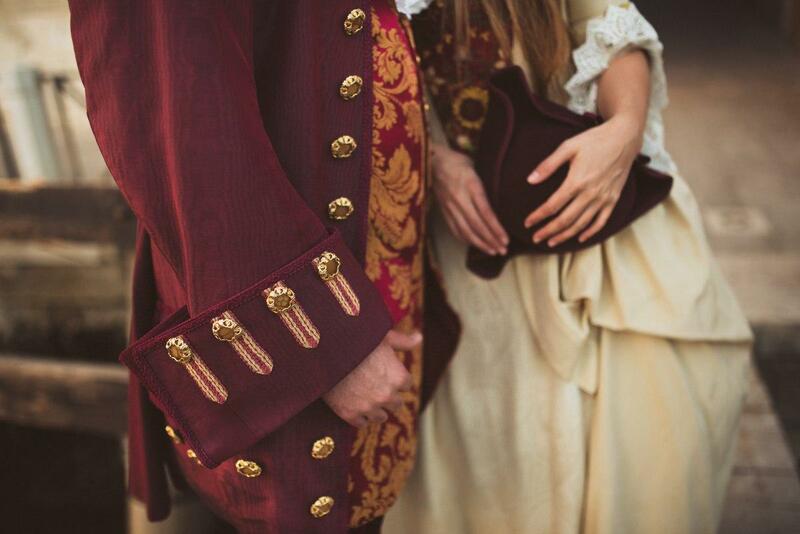 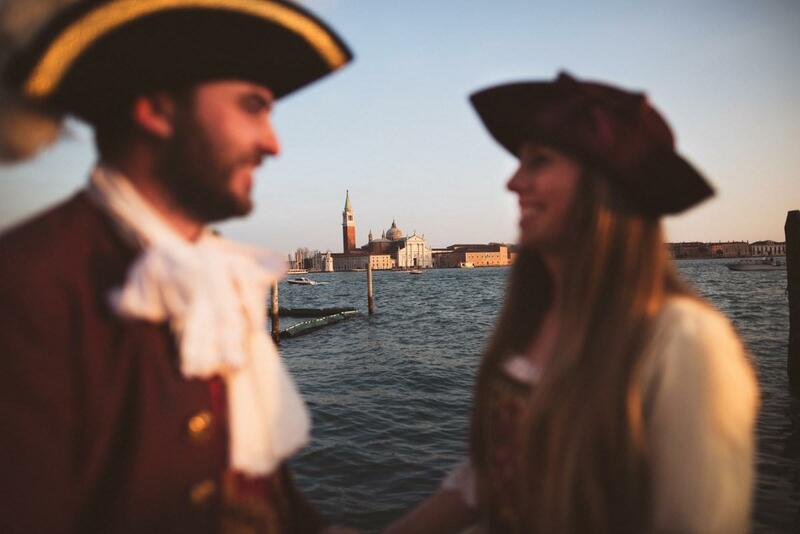 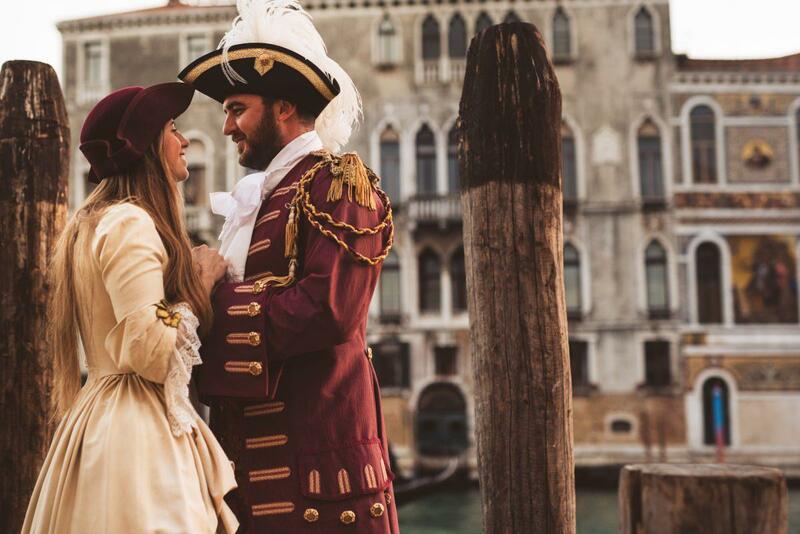 The proposal in Venice, in costumes, few days after Valentine’s day, there is no doubts he knows that she is the one that wants to stay with forever.